GRADES AND SPECIFICATIONS OF SODIUM ACETATE ANHYDROUS POWDER. Arsenic < 1ppm. Arsenic < 1ppm. 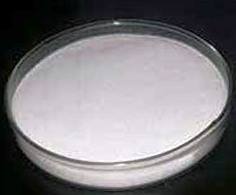 Sodium acetate, (also sodium ethanoate) is the sodium salt of acetic acid. It is an inexpensive chemical produced in industrial quantities for a wide range of uses. Sodium acetate is used in the textile industry to neutralize sulfuric acid waste streams, and as a photo resist while using aniline dyes. It is also a pickling agent in chrome tanning, and it helps to retard vulcanization of chloroprene in synthetic rubber production.It is the chemical that gives salt and vinegar chips (crisps) their flavor. 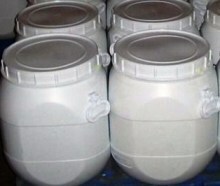 It may also be added to foods as a preservative; in this application it is usually written as "sodium diacetate" and labeled E262.Traditional applications of Sodium Acetate buffering agent include the leather tanning and dye industries. It is used in TANNING to effect a more even and rapid penetration of the tan. In the TEXTILE industry, it is considered a dye and color intermediate, with specific use as a mordant in the dyeing process. Because of its ability to remove insoluble calcium salts, it is further used by the textile industry to improve the wearing quality of finished fabrics. It is considered one of the best agents available for the neutralization of mineral acids. It is commonly used in SOAP MAKING. The FOOD industry relies on sodium acetate as a buffer in controlling pH of food items during various stages of processing as well as for the finished consumable item. It is also used as a flavor enhancer in meat and poultry. It may be added to foods as a seasoning, and to alcoholic beverages to decrease the risk of a hangover. As the conjugate base of a weak acid, a solution of sodium acetate and acetic acid can act as a BUFFER SOLUTION to keep a relatively constant pH. This is useful especially in biochemical applications where reactions are pH dependent. The COSMETICS industry also values a good buffering agent, so it uses sodium acetate in a wide variety of personal care items. In PLASTICS manufacturing, sodium acetate is used as a retarder for elastomers (polymers with elastic properties of rubber). The PHOTOGRAPHIC industry traditionally included sodium acetate in its developer formula. Newer applications of sodium acetate include its use as a carbon source in WATER TREATMENT. Acetate is a safe and environmentally-friendly alternative to hazardous methanol for the de-nitrification of wastewater. The PETROLEUM industry relies on it as a buffering agent in petroleum production, drilling Muds, and completion fluids. 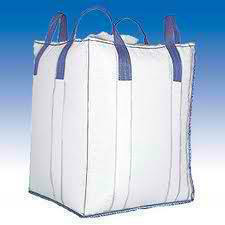 It is also used in consumer HEATING PADS or hand warmers and is also used in hot ice. Sodium acetate trihydrate crystals melt at 58 °C, dissolving in their water of crystallization. When they are heated to around 100C, and subsequently allowed to cool, the aqueous solution becomes supersaturated. This solution is capable of super cooling to room temperature without forming crystals. By clicking on a metal disc in the heating pad, a nucleation center is formed which causes the solution to crystallize into solid trihydrate crystals again. The bond-forming process of crystallization is exothermic, hence heat is emitted. The latent heat of fusion is about 264–289 kJ/kg. Unlike some other types of heat packs that depend on irreversible chemical reactions, sodium acetate heat packs can be easily recharged by boiling until all crystals are dissolved. Therefore they can be recycled indefinitely. The MEDICAL & PHARMACEUTICAL industry uses it in formula for diuretic expectorants and systemic alkalizers. It is commonly used in dry blends for renal dialysis. The heat of crystallization generated by sodium acetate is widely and effectively used in the heat pack industry. Another new application of this versatile chemical is in poultry farming. It is added to drinking water for chickens to help prevent disease conditions associated with overheating and dehydration. It is also used as a buffer in petroleum production, and for kidney dialysis processes. All in all, it indeed is a remarkable chemical with applications span a wide range of industries. It is sometimes produced in a laboratory experiment by the reaction of acetic acid with sodium carbonate, sodium bicarbonate, or sodium hydroxide. These reactions produce sodium acetate (aq), water, and carbon dioxide, which leaves the reaction vessel as a gas, is produced by the first two. In such a reaction, it is usually complexed with caesium in order to increase the nucleophilicity of the carboxylate group. 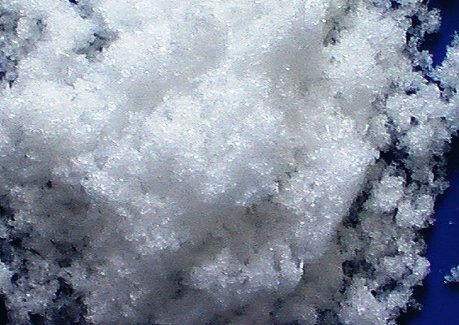 We also offer sodium acetate granules for airport & concrete deicing. Please visit our pages on Potassium Acetate and Calcium Acetate.